There’s an app for nearly everything…except, it seems business and middle market lending. 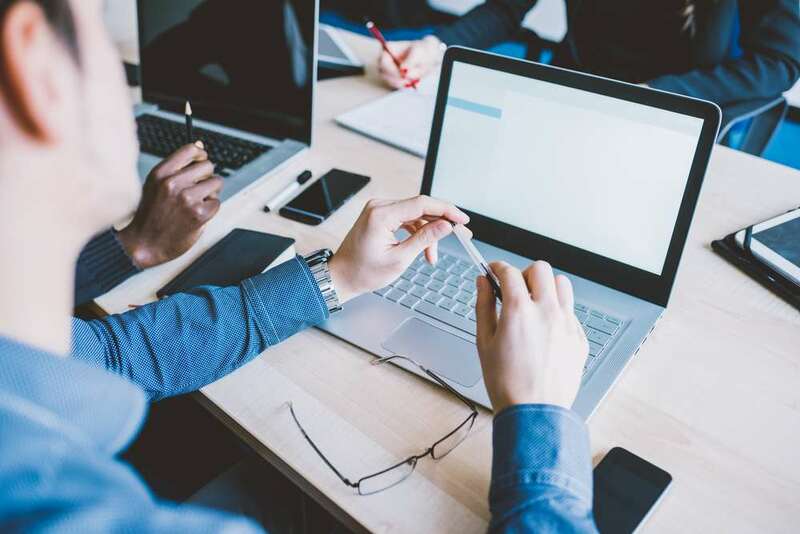 Banks are falling short at many points across the borrowing experience, but thankfully there are some tried and true technologies that can make the borrower experience much better. For many financial institutions across the country, time stands still and borrowers and bankers are forced through a clumsy process for loan applications. For the longest time, that was regrettable, but it never seemed to be the most urgent problem at a bank. Until now. Now many banks are facing competition with others who are improving the borrower experience, and borrowers have been shown how it could be done by the fintechs and alternative lenders who have moved into the market. Taking into account the average small business borrower might make applications to three different places, the slowest or least convenient bank won’t win the business. The point of all this is twofold: first, your borrowers live in this world and expect you to provide a similar experience. Second, this world can inspire all of us to re-think our own borrower experience systems. Speed – how fast can I find what I’m looking for? How quickly will you get back to me? When can I close? Convenience – how easy or hard you make the interaction will determine how convenient you appear to the borrower. Every step counts: your website’s information, the number of fields required for data entry, paper vs. digital submissions, etc. Once we realize this is what borrowers want, the good news is that we can deliver this experience in a lot of different ways. Maybe your bank is more old-school on the technology side; you can make up for it through truly exceptional service by long-tenured, informed staff. While borrowers have expectations, banks do, too, and they are generally based on the banks’ strategy. Each bank may have its own strategy, but all share these three common aspirations. We’re looking for businesses that align with our credit appetite. We’re looking to price deals fairly and deliver our services as economically as possible to optimize profits. And we want our operation to scale and deliver services efficiently. The more we maximize these aspirations, the more successful we will be. So, is there a world in which our borrowers’ wants match our wants? Of course! You knew where this was going, didn’t you? 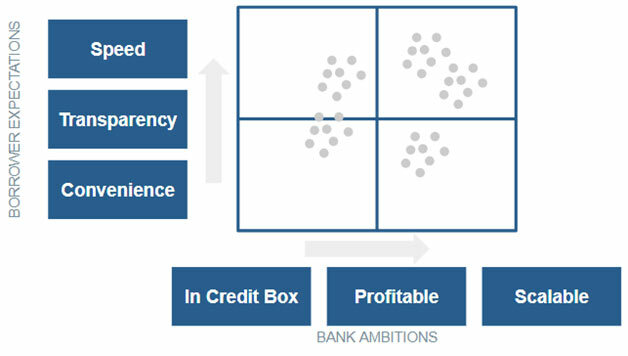 A two-by-two matrix, where happy customers and happy bankers live in the upper right box. Unfortunately, many banks seem to struggle in the other three boxes. They don’t have the processes, tools, staffing or technology to pull this off yet. If you identify with one of these other boxes, you are not alone; most every institution struggles with delivering a truly excellent experience. The amazing experiences offered in our own digital lives can inspire us as lenders to look for ways to better meet the expectations of business borrowers while also meeting the bank’s business objectives. Thankfully, commercially available digital solutions can enable banks to do both. These are solutions worth exploring because they can help your bank move into that upper right box where bank ambitions and borrower expectations routinely intersect. 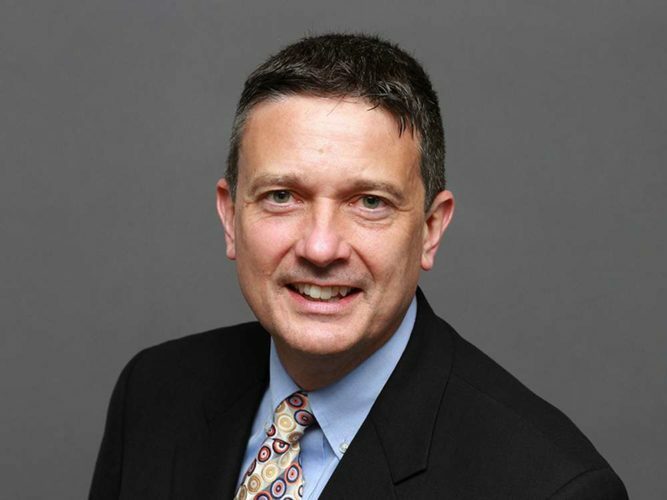 Steven Martin is vice president at Sageworks, a financial information company that provides lending, credit risk, and portfolio risk solutions to over 1,300 financial institutions across the country. Steven leads strategy for Sageworks Lending Solution for small business and commercial lending departments. Before joining Sageworks, Steven led corporate strategy for the tech and life sciences bank, Square 1 Bank, and led strategy and integration for U.S. retail banking operations of Royal Bank of Canada.